For people who have diabetes—or almost any other disease, for that matter—the benefits of exercise can't be overstated. Exercise helps control weight, lower blood pressure, lower harmful LDL cholesterol and triglycerides, raise healthy HDL cholesterol, strengthen muscles and bones, reduce anxiety, and improve your general well-being. There are added benefits for people with diabetes: exercise lowers blood glucose levels and boosts your body's sensitivity to insulin, countering insulin resistance. Exercise lowered HbA1c values by 0.7 percentage point in people of different ethnic groups with diabetes who were taking different medications and following a variety of diets—and this improvement occurred even though they didn't lose any weight. All forms of exercise—aerobic, resistance, or doing both (combined training)—were equally good at lowering HbA1c values in people with diabetes. Resistance training and aerobic exercise both helped to lower insulin resistance in previously sedentary older adults with abdominal obesity at risk for diabetes. Combining the two types of exercise proved more beneficial than doing either one alone. People with diabetes who walked at least two hours a week were less likely to die of heart disease than their sedentary counter- parts, and those who exercised three to four hours a week cut their risk even more. Women with diabetes who spent at least four hours a week doing moderate exercise (including walking) or vigorous exercise had a 40% lower risk of developing heart disease than those who didn't exercise. These benefits persisted even after researchers adjusted for confounding factors, including BMI, smoking, and other heart disease risk factors. In general, the best time to exercise is one to three hours after eating, when your blood sugar level is likely to be higher. 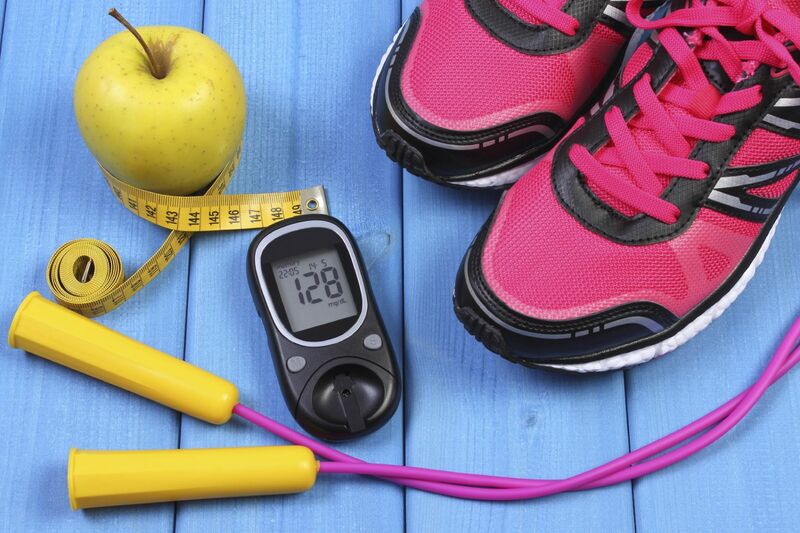 If you use insulin, it's important to test your blood sugar before exercising. If the level before exercise is below 100 mg/dL, eating a piece of fruit or having a small snack will boost it and help you avoid hypoglycemia. Testing again 30 minutes later will show whether your blood sugar level is stable. It's also a good idea to check your blood sugar after any particularly grueling workout or activity. If you're taking insulin, your risk of developing hypoglycemia may be highest six to 12 hours after exercising. Experts also caution against exercising if your blood sugar is too high (over 250), because exercise can sometimes raise blood sugar even higher. For more information on preventing, diagnosing and managing diabetes, read Living Well with Diabetes, a Special Health Report from Harvard Medical School.